Over 1,300 young people across Scotland took part in this year’s Show Racism the Red Card competition. Young people from schools and colleges joined with major names from the world of Scottish football and politics at Hampden Park on Thursday 21st March, for the Award Ceremony hosted by Peter Martin. 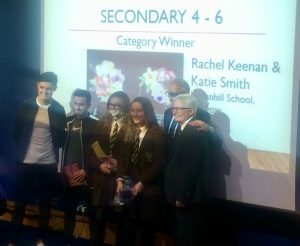 We are proud to say that Rachel Keenan and Katie Smith (S4) were the Overall Winners in the S4-S6 category. 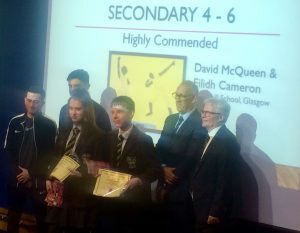 David McQueen and Eilidh Cameron were Highly Commended. Their ingenuity in coming up with creative ways to promote the message of anti-racism was superb. 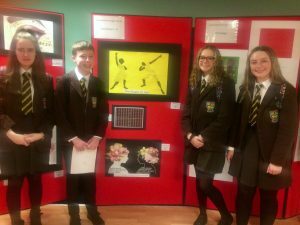 This competition sends a clear message that young people in Jordanhill School and beyond want Scotland to be a welcoming and multi-cultural society. Read more here.